As the weather cools, Eric Chavot’s classic blanquette de veau recipe makes for a perfect autumnal supper. 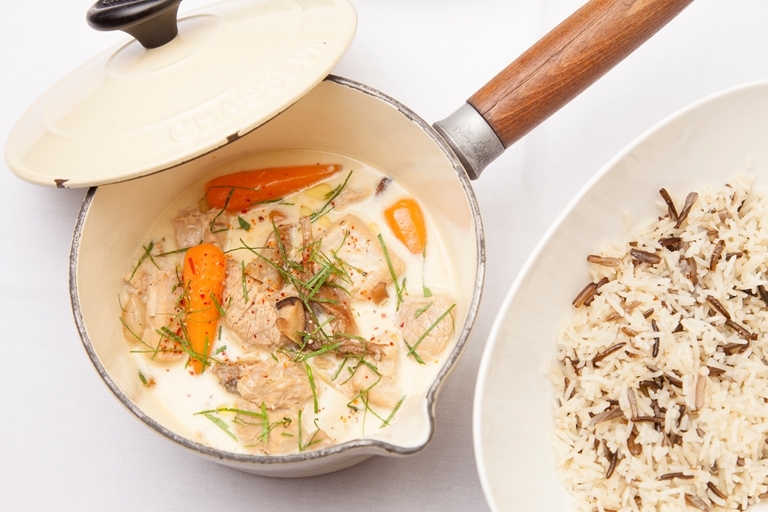 A gentle, comforting dish, blanquette de veau is a traditional veal stew cooked in a white, creamy sauce, paired with a warming, aromatic pilau. This dish is a true snapshot of French culinary heritage.